From Hell’s Roof to the Rhine Valley, Rochester, NY emcee Eto (formerly known as Lil’ Eto) and German-Spanish producer Superior have joined forces! 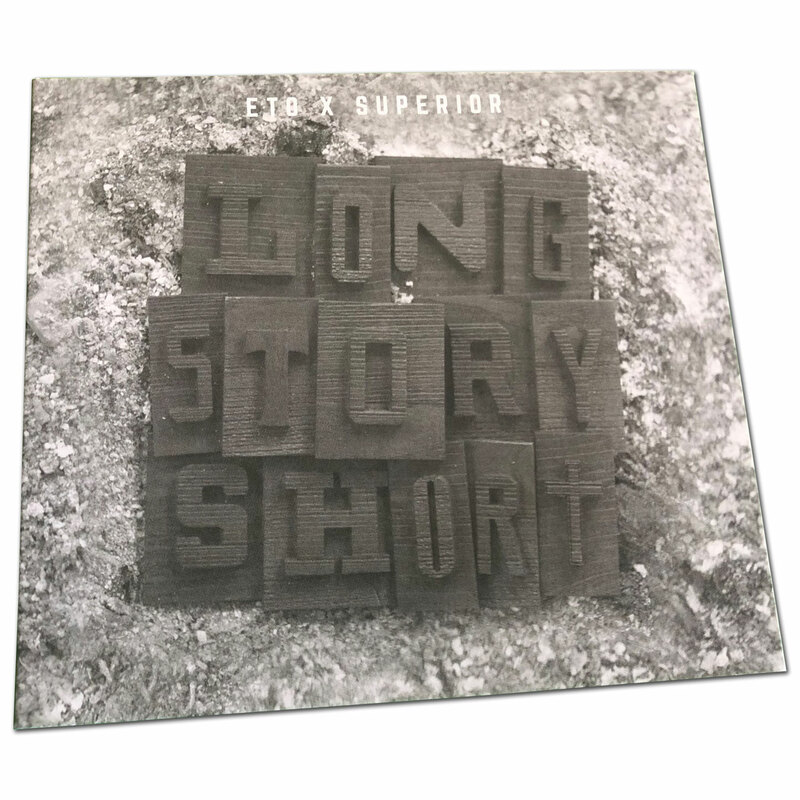 The resulting full-length collaboration, “Long Story Short” is set to drop via Below System Records (Digital & CD) on April 12th (with vinyl coming courtesy of Tuff Kong Records). 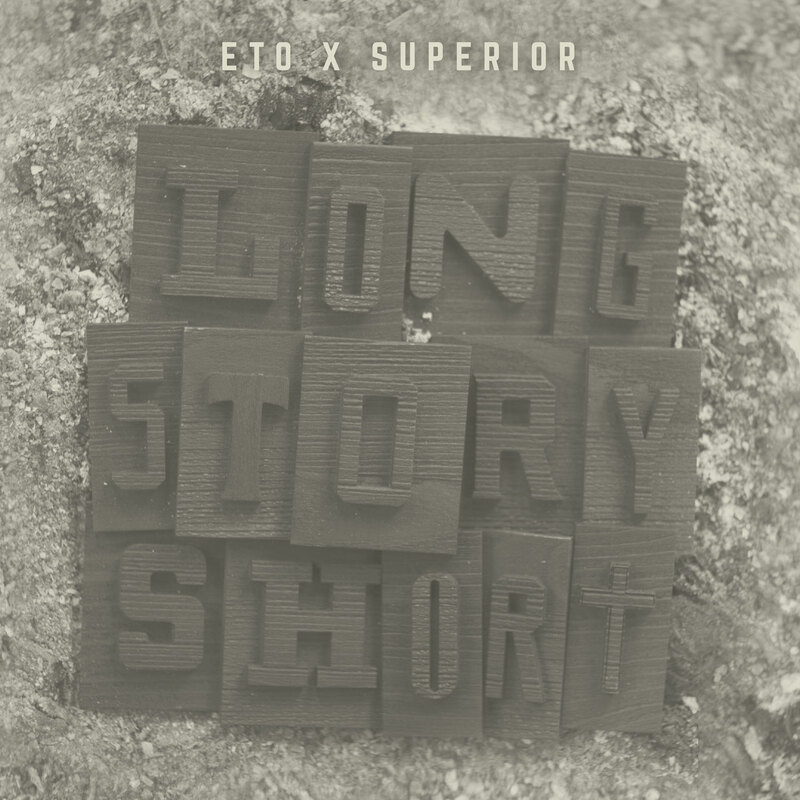 As evidenced by first single “Fortune” and accompanying video, Eto’s penchant for balancing the pain of the street and the progression of the hustle is a perfect foil for Superior’s cinematic and somber beat-scapes. 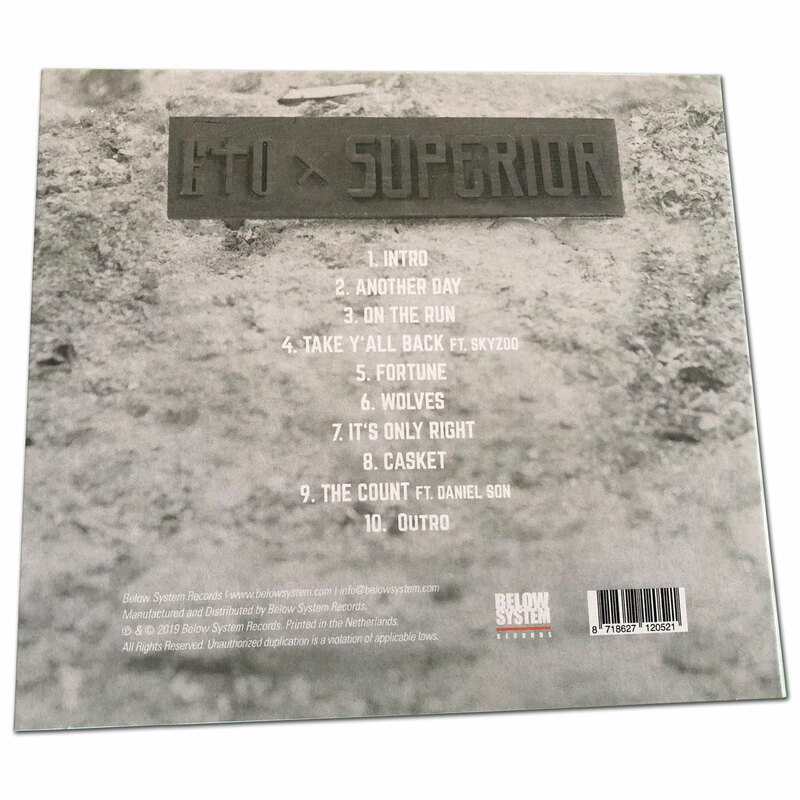 Speaking on the collaboration, Superior said “My previous releases were rooted in my love of boom-bap. 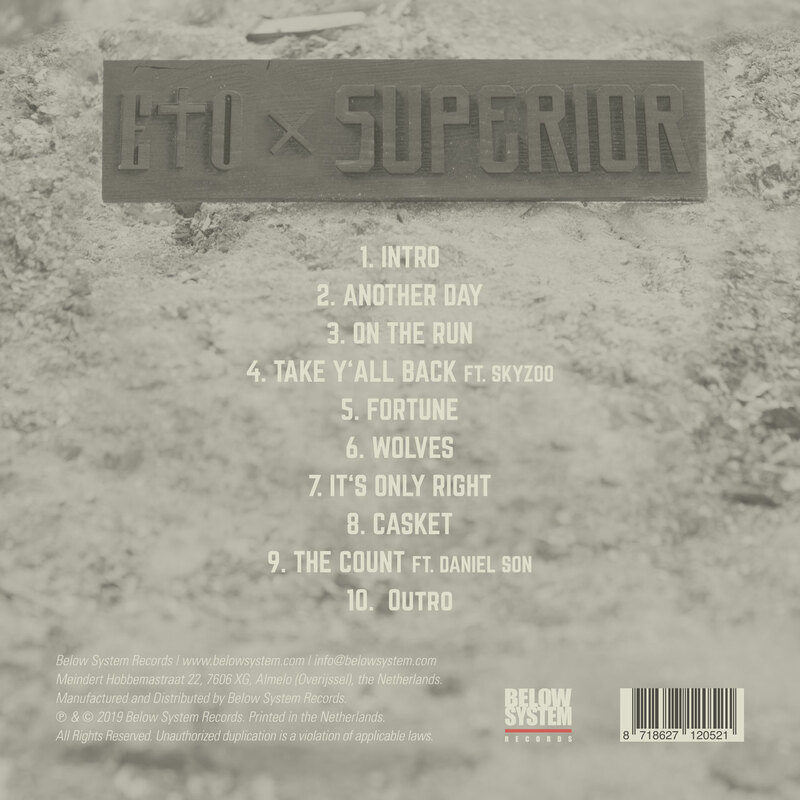 However, when I linked up with Eto, I started producing specifically with him in mind and keeping it more atmospheric in keeping with the coldness of his environment and narratives.” With a gripping chemistry throughout the only guest spots on the project is from Skyzoo and Toronto rhyme-counterpart, Daniel Son. Of course Eto has been releasing audio masterpieces at a dizzying rate in the past several months. These include his new full-length collaboration with DJ Muggs (Cypress Hill) entitled “Hell’s Roof” (which is a nickname for his hometown which has one of the highest crime rates in the country) and recent surprise EP, “Heather Grey” with long-time production collaborator VDon (Dark Lo, Conway The Machine) and emcee Willie The Kid. Eto also was featured on one of the most celebrated albums for 2018 Westside Gunn’s, “Hitler Wears Hermes 6” (“John Bena” produced by DJ Muggs) As an emcee, Eto also recently laced tracks for Benny The Butcher, 38 Spesh and Jamal Gasol. 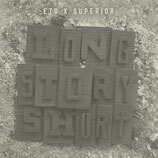 Constantly adapting his work as a producer, Superior's catalogue for Below System Records includes his 2017 production album, “The Journey”, which included appearances from Blu, Edo. G, Reks, Termanlogy and Lil Fame among others. His full-length album with Chicago emcee, Verbal Kent, “Half My Life” was released in 2018 and had appearances from Vic Spencer, Sonnyjim and Recognize Ali.